Montreal Canadiens General Manager Marc Bergevin announced Saturday that the team had agreed to a four-year contract extension with Head Coach Michel Therrien. The terms of the deal were not released. 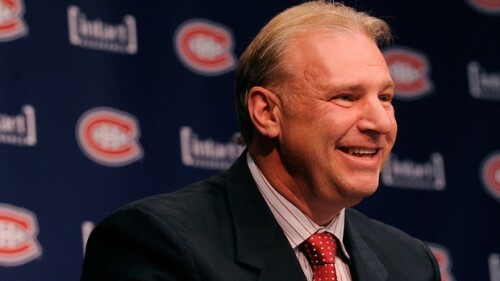 Therrien took over the bench at the start of the shortened season in 2013 and led the team from last place in the Eastern Conference to second in only one season. This past season, the team kept trending upward, hitting 100 points and then advancing to the Eastern Conference Championship of the Stanley Cup playoffs. Over those two seasons, the team has a record of 75-42-13, good for 163 points in 130 regular season games with a winning percentage of .627. The team also announced Saturday that they had traded former first-round pick Louis Leblance to the Anaheim Ducks for a conditional fifth round pick in the 2015 NHL draft. Leblanc, taken 18th overall in 2009 by Montreal, has played in 50 games for the Canadiens but only got into eight last season. When the 23-year-old did not make the cut out of training camp, speculation that he was unhappy with the situation emerged. His girlfriend, tennis player Aleksandra Wozniak took to Twitter at the time to voice her displeasure. ““He did everything the CH organization told him to do and what. . . get cut this early? Oh and the reason. . . worst excuse ever! This is wrong” she said in a message that has since been deleted (Source: Globe and Mail). “After three seasons with the Canadiens organization we felt that moving forward the best option for Louis and our organization was to give him the opportunity to pursue his career with another team,” Bergevin said in a press release. Leblanc had 13 goals and 28 points in 70 games with the AHL’s Hamilton Bulldogs this season.